Live from the hallowed halls of artists alley at this years Fan Expo Canada, Eric Anthony was had the chance to chat with some of the comic industries brightest stars. 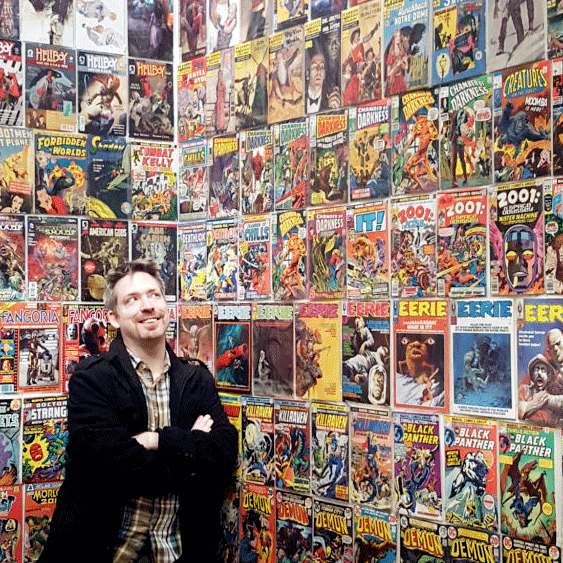 We start the episode with a handsome fella named Casey Parsons, artist of the recently published Cauldron, a comic magazine anthology and get a little back story into his comic book history. Then we hop on our cosmic surfboards and travel into the Marvel Universe to check in with local legend and international superstar Jim Zub, and ask how things are going with the Avengers and Champions. Finally, we finish our journey with the lovely Marguerite Bennet, writer of Batwoman, DC Bombshells, as well as Animosity and soon to be released Mighty Morphing Power Rangers! Big thank you to all three very special guests for giving of their time during the busy Fan Expo weekend. Enjoy the show!